Tha am baile Bwcle ann an Sir y Fflint, a' Chuimrigh. 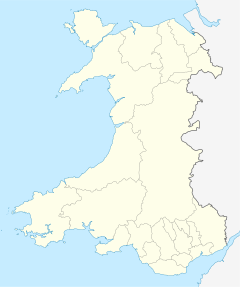 Tha e 116.8 mi (188.0 cilemeatair) bho Caerdydd, agus 169.2 mi (272.3 cilemeatair) bho Lunnainn. A rèir a' chunntais-shluaigh ann an 2011 bha 15069 daoine a' fuireach ann, agus bha Cuimris aig 1566 (10.4%); rugadh 50% den t-sluagh anns a' Chuimrigh fhèin. Air a tharraing à "https://gd.wikipedia.org/w/index.php?title=Bwcle&oldid=459275"
Chaidh an duilleag seo a dheasachadh 28 dhen Ògmhios 2014 aig 17:26 turas mu dheireadh.